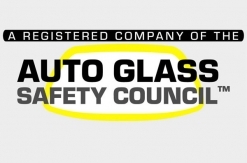 Tiny & Sons is a registered company of the Auto Glass Safety Council, the nationally recognized standard for proper auto glass installations. Because your safety is our priority, our auto glass technicians have been highly trained and follow stringent safety standards. They are also certified in proper installation practices and are audited with an independent 49 point inspection of work. There are many critical safety components that make up your vehicle’s occupant crash protection system, auto glass is one of them. In the event of a collision or rollover accident your windshield acts as a safety shield for vehicle occupants. Great care must be taken to make sure your windshield is replaced correctly. Tiny & Sons is committed to following the standards set by the AGSC. Please visit their website at www.safewindshields.org to be sure your auto glass is replaced by a company that has a proven commitment to safety. Most of these systems use a forward facing camera mounted inside the windshield by the rear view mirror to identify the lane markings and seeing if they are crossed. When activated typical warnings include a flashing symbol on the dashboard display or audible alert. These systems MAY require recalibration . So when Choosing an Auto Glass Replacement Shop Choose wisely . Look for the AGSC Logo.